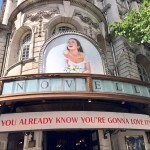 Enjoy Celebrity Radio’ s Mamma Mia Review At Novello Theatre West End…..
Mamma Mia! is the highest grossing, most popular & successful musical in stage and screen EVER. 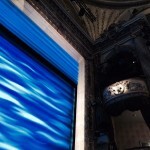 Celebrity Radio has supported the show around the world on Broadway, in Las Vegas and London for over 10 years. It was therefore surprising (not to mention insulting) when the producers refused my request to review the 2015 cast. 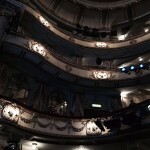 Then again, these are the same producers who think it is acceptable to offer £117 seat for a mid-week matinee. That could get you 2 tickets for any other show. Hey ho – I bought a ticket and reviewed the show regardless…. Mamma Mia is basically a mindless, uplifting, 70’s party. It’s feel good fun fest and God do we need that in 2015! 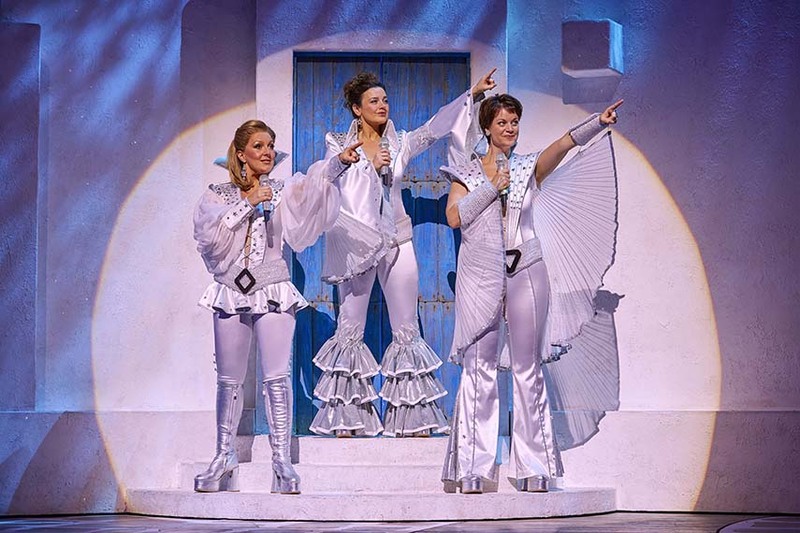 In true Broadway song-book style, this show tenuously links the various ABBA hits through the story of a young girl searching for her father – she ends up with three! Her mother (Donna) was quite a character in her day. She’s been around the houses and stayed in most of them. Her 2 best friends, ‘The Dynamo’s’ are the heart and unquestionably steal the entire show. 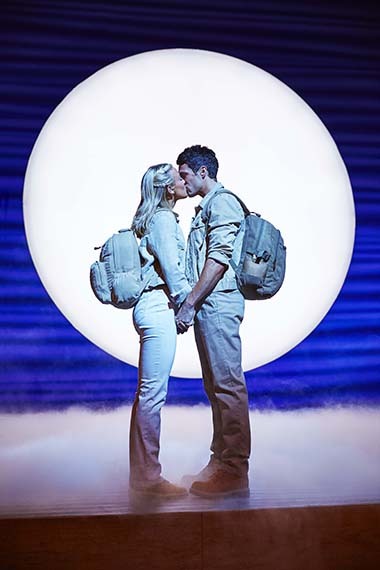 This musical is camp, uplifting, funny, silly and overall hugely entertaining. If you’re wanting Shakespeare or Pinter – move along, this ain’t for you! 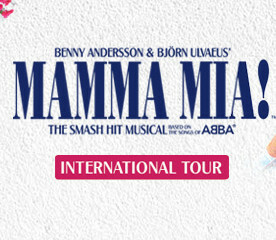 If you want a heart warming story (and the best encore in the West End) – Mamma Mia will be right up your street! The set itself if incredibly uninspiring and simple. Maybe that’s part of this shows success. It’s uncomplicated and uncluttered. 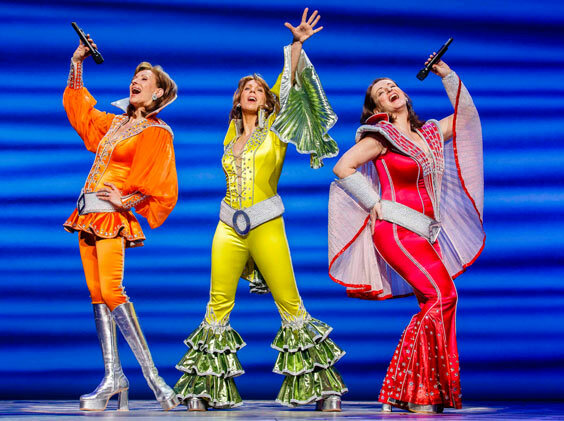 The lighting is effective and the costumes are tight and spandex-y as you would hope. 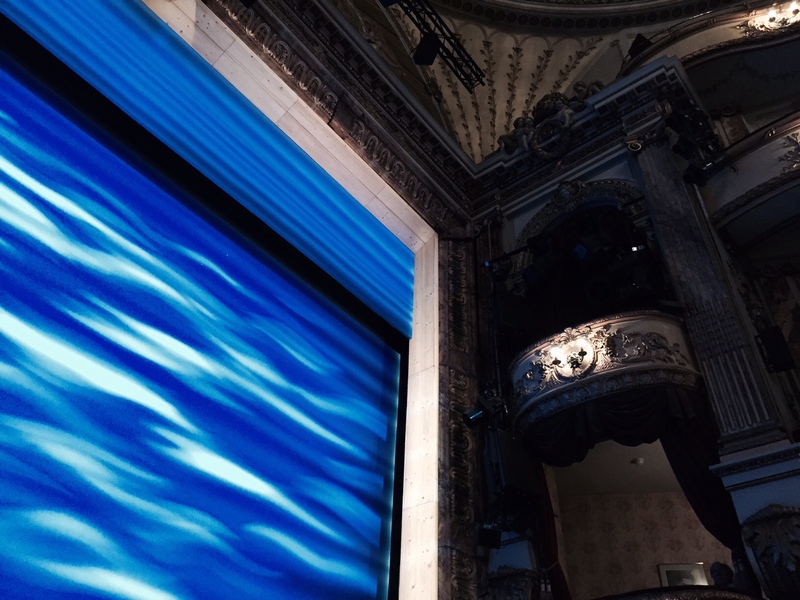 The new 2015 cast are superb. Arguably the strongest leads in the shows history. With new additions to the cast including the breath-taking Mazz Murray (in the top 3 Musical Stars EVER), her comic timing is the best in the business. Her voice is simply in a league of its own. The brilliant Dianne Pilkington is a triumph in this role as Tanya & Jo Napthine as the adorable Rosie. Dianne brings an incredibly rare & exception brilliance to this fluff role. She’s the first actress I’ve ever seen, anywhere in the world, to perform ‘I don’t want to talk’ straight. 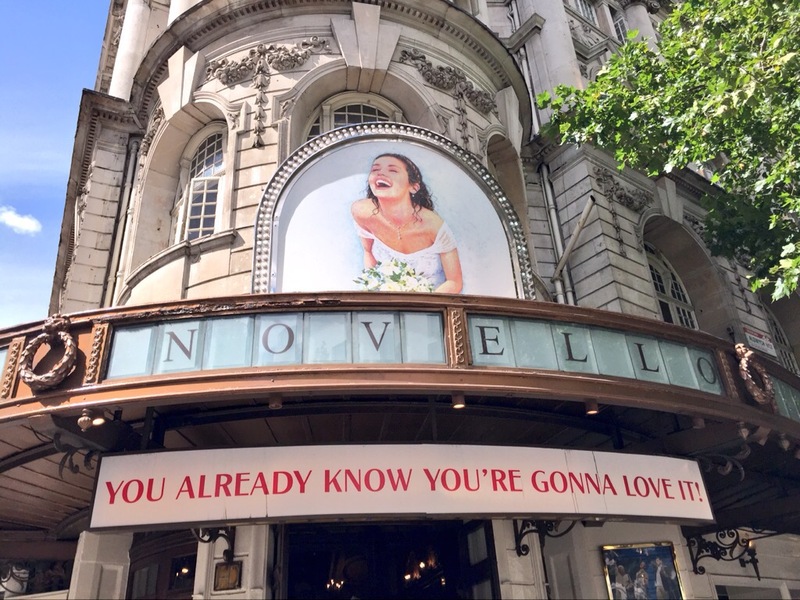 So moving, so much more effective and emotional – she’s the epitome of a West End leading lady. Gabriella Sheridan is hugely loveable as Sophie and brings the perfect innocence to the role. 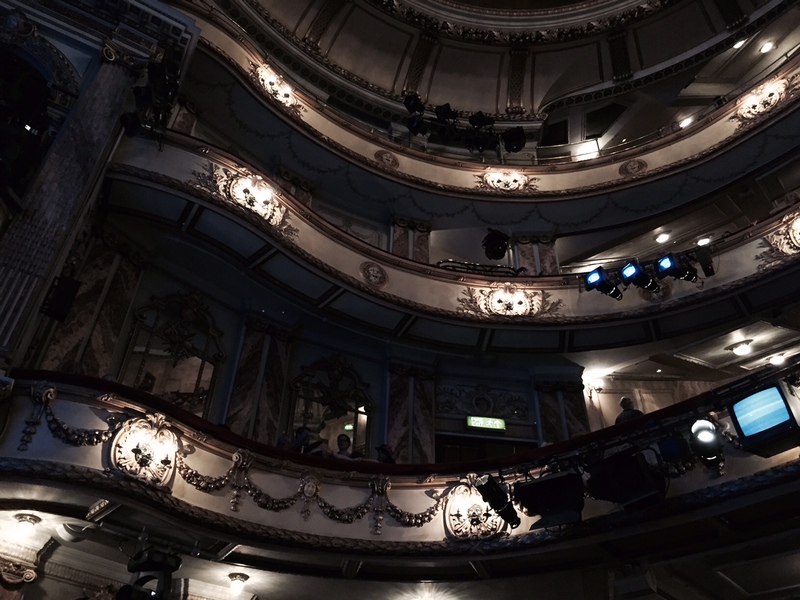 Apparently I’m not important enough to talk to the West End cast, so I flew to Broadway to talk to them instead…. 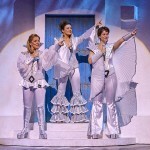 The musical includes all of ABBA’s biggest hits including “Super Trouper”, “Lay All Your Love on Me”, “Dancing Queen”, “Knowing Me, Knowing You”, “Take a Chance on Me”, “Thank You for the Music”, “Money, Money, Money”, “The Winner Takes It All”, “Voulez Vous”, “SOS” and the title track. Over 54 million people have seen the show, which has grossed $2 billion worldwide since its 1999 debut. A film adaptation starring Meryl Streep, Colin Firth & Pierce Brosnan is the most watched musical film of all time. 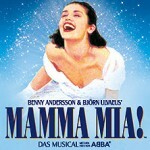 4* fun-fest at MAMMA MIA! GET TICKETS HERE! 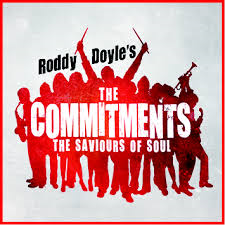 Recorded by Alex Belfield for Celebrity Radio August 6th 2015.